Antivirus is considered to be the very first line of defense technology for Endpoint Protection Platforms (EPP). Over the past twenty years, a number of other components have been added to EPP such as personal firewalls, anti-spyware and anti-malware, but many of these components have never been installed. 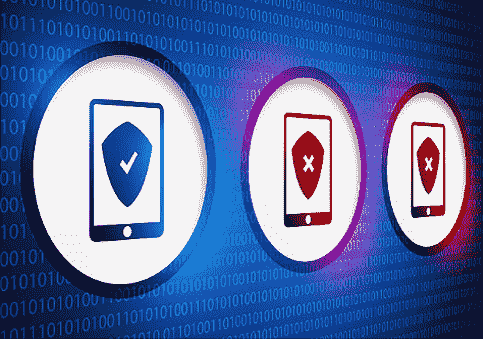 Even with the latest technologies, endpoint protection gaps still exist mostly because EPP is reactive and makes use of stored information or static rules in order to detect and identify a threat. Static methodologies are not flexible enough to address modern-day threats, thus resulting in attackers effortlessly bypassing outdated EPP. Due to the existence of endpoint protection gaps, EPP requirements seem to be changing. For instance, Gartner and several other analyst firms assume that EPP needs much bigger flexibility and must possess Endpoint Detection and Response (EDR) capabilities. However, standard EPP, even when successful, fails to provide security professionals the means for understanding the “what, who and where” of a threat. This type of threat intelligence can be gathered by analysts only if they have complete visibility into every endpoint activity, timelines, processes and a potential relationship with all endpoints in the organization. EPP is primarily based on stored pattern and signature files in order to stop known threats. This is also considered to be true of newer “Next Generation AV” (NGAV), which employs machine learning with static rules and policies to identify threats, thus restricting its flexibility. NGAV has no threat intelligence or endpoint visibility that will help understand a threat actor’s procedures, techniques, and tactics, which is essential for defending against modern threats. With conventional EPP, machine learning needs new rules or updates to address threats that are unknown, but unfortunately, that only takes place after a threat has been identified and the damage has already been done. Advanced Endpoint Protection refers to a next-generation cyber security that can block bad files and automatically contain unknown files in a virtual container with the help of containerization technology and the Default Deny Platform™. This is followed by examining an unknown “contained” file and attaining an accelerated verdict via the cloud-based Valkyrie Verdict malware analysis platform. Comodo Advanced Endpoint Protection is capable of offering a scalable, lightweight Default Deny Platform along with a unique endpoint security approach, resulting in absolute protection and enterprise visibility. This app based platform has the potential to prevent complexity and solution overlap. It is possible to provision this Advanced Endpoint Protection within just a few minutes, and it further makes use of negligible CPU resources and needs an endpoint footprint of just about 10 MB. With new EPP requirements, it is now clear a successful EPP in necessary to be able to automate as much threat intelligence as possible for both detection and prevention. Instead of just having the potential to react to the damage already done from a threat, analysts will be able to spend their time analyzing and enhancing their defenses by employing effective automation while leveraging powerful EDR technology. Enterprise Security is a strategy pulled off to protect the devices connected to the corporate network. Each device when connected to remote creates a potential entry for security threats. Enterprises embracing new technologies to meet business demands has open doors to cyber attacks. The risk gets complex by the unceasing threat landscape and with the scope of networks beyond boundaries. Enterprises are in need of an integrated security system that delivers instant threat response. However, there are many market leaders in the industry with their compelling enterprise security solutions to protect enterprise security networks. Comodo Enterprise Security Suites offer unequaled endpoint protection for Microsoft Windows desktop, laptops, servers, and tablets. It features containment technology that helps in sandboxing unknown files in an isolated virtual environment without affecting the system’s performance. It delivers remote assistance and addresses issues from remote. It provides efficient system management capabilities to view and alter endpoint services, processes, and installed applications. It scans the endpoints for possible threats, prevents suspicious programs from running, applies firewall policies to block/allow network traffic. It helps to discover and stop malicious traffic on a corporate network. Kaspersky protects businesses of any size against any kind of malicious threats. It delivers powerful security features with extensive management features. Kaspersky Endpoint Security integrates commendable system controls with efficient security for all devices from a uniform centralized management console. It ensures complete control to enforce your application, web, data, device, and data policies with web control, application control, device control and data control. Malwarebytes is yet another source for endpoint protection. It delivers multi-layered technology approach to address and turn down advanced threats. As a concluding note, each business demands a different set of security required to protect its endpoints. The above-mentioned products and its features would help you understand the features of each product. Comodo Endpoint Security offers a free trial to help any business to understand how well it matches the organization’s requirement. 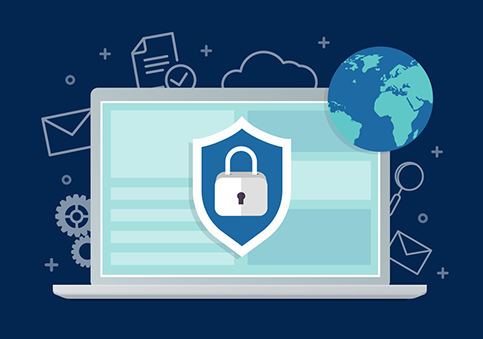 Endpoint Security refers to a centralized approach used for protecting all endpoints connected to the corporate IT network from cyber threats. This methodology enables effective, efficient and easier security management for smartphones, laptops, desktops, servers and several other IoT devices. A few vendors offer Endpoint Security systems that comprise of firewall, antivirus, and other high defined security software. Peter Green, director of IT at Neumont University in South Jordan, Utah, states that it is essential for users to consider implementing a few measures before committing to a network endpoint security system. He feels that IT technicians are going about network security in the wrong manner. However, as with any new technological approach, a network endpoint security has its own trade-offs, both in terms of money and changes in how IT handles issues. This approach needs a more intelligent network, referring to investment in extra software and hardware beyond the security package itself. A major danger of bleeding-edge technologies is that two years later, they will be able to strand you with a proprietary system from a small vendor that lacks the resources to proceed development, and finally requires an expensive forklift upgrade to whatever standard has evolved. Leading-edge technology can challenge the IT staff’s potential to adapt and can require extra effort and time. Visitor isolation is perfectly necessary and a huge benefit of endpoint security. Endpoint security needs active user involvement, at least to the point of responding when a pop-up comes on the screen that informs users that their laptops have been quarantined until they turn on the laptop’s personal firewall or upgrades virus definitions. Green further states, “We need to be sure our end users have that same emotional investment in the security of the network that we do. If they don’t, they will see meeting security requirements as one more problem keeping them from their data.” Hence, user education indeed becomes important. “We do get calls from people asking what these pop-ups are all about,” he says. Thus, endpoint devices will have to meet security standards prior to being granted network access; this would help prevent threats to a large extent. Network endpoint security software is also capable of monitoring endpoints and endpoint devices for malicious and risky activities. Whether employed as a complete security suite or by using the sandbox as a standalone in order to strengthen existing AV solutions, the Advanced Endpoint Security from Comodo offers matchless endpoint protection for Microsoft Windows servers, laptops, tablets, and desktops. Comodo Advanced Endpoint Security permits users to control and centrally take care of endpoint protection by applying operational templates or policies. Administrators are provided with the potential to define operational thresholds for, RAM usage, CPU usage, available storage, and network usage. Options for disabling USB mass-storage devices, floppy drives, and optical devices are also provided by Comodo’s endpoint protection software. So if your business is just a startup – and you are unsure on what endpoint security is, It is vital to understand what is endpoint security and how effectively it can be implemented to protect the endpoints and hence the corporate data. Endpoint Security ensures the security of endpoint devices connected to the network. This prevents security threats that would arise when endpoint devices, like laptops, mobile devices, wireless devices etc are remotely connected to the network. This is accomplished usually by implementing an effective endpoint security manager, that includes a security software located on a centrally managed and accessible server or gateway within the network. Have a trusted, effective endpoint security manager in place; go for one with good features like Comodo Endpoint Security Manager and proven track record. Investing in the right endpoint security manager would never be a loss. Use personal identification numbers or password access control for all endpoint devices that are connected to the network. This is simple and guarantees security in many ways. There would be proper monitoring and at the same time, it would also ensure that no one else tries and access any of these devices. Go for hard disk encryption in the usual endpoint devices, thereby making it difficult for any outsider or hacker to use the content in case the device is lost or gets stolen. Always use effective antivirus software in the systems connected to the network and also make sure the endpoint devices are protected with antivirus software. Almost importance is the need to create awareness among the users within the company on how important endpoint security is. It’s the users within an organization who are more effective than any antivirus program or internet security product in keeping malware and trouble at bay. 50% of the enterprises acknowledge that they are blown out by security breaches in the recent past an 20% of the IT decision makers assure that their businesses are prone to such security breaches in the next 18 months. Security research experts claim that corporate data of current businesses are archived in laptops and desktops and not in centralized servers and data centers. Nearly 63% of the organization claim that they would compromise business data and hence destroy the business. The survey included samples of close to 800 IT decision makers and 450 business decision makers including companies’ CEOs from the US, UK, and Germany. In the recent past, three by fourth of the IT decision makers have enhanced their information security teams by 10%.